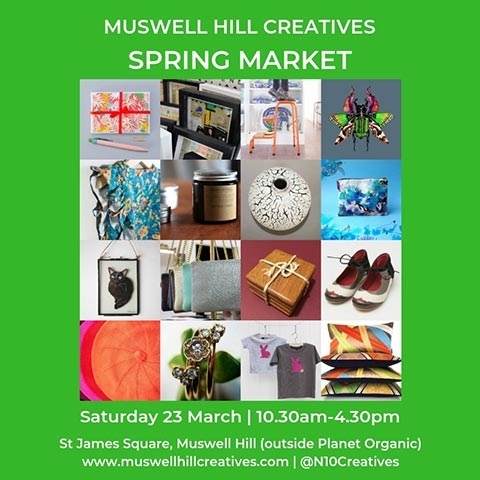 Delighted to have a guest stall at the forthcoming Muswell Hill Creatives spring market, elbow to elbow with weavers, potters, glass blowers, screen printers, painters, dyers, jewellers, leather workers… all selling their beautiful products. Wind and wuthering weather has blown our plans into disarray, so the Muswell Hill Creatives market will now be held a week today, on Saturday 23 March. Giggy & Bab stools would have stayed put in the high winds, but that’s about it. Bulging gazebos in full sail, flapping tablecloths, crashing signs, precious items blown off tables… a terrible scenario could have ensued. 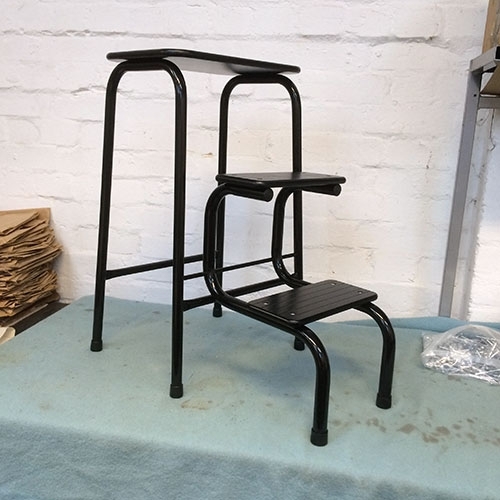 The elves have been busy at Stool Central putting the finishing touches to our new batch of stools. They feature two stunning new plywood finishes, blond and black. 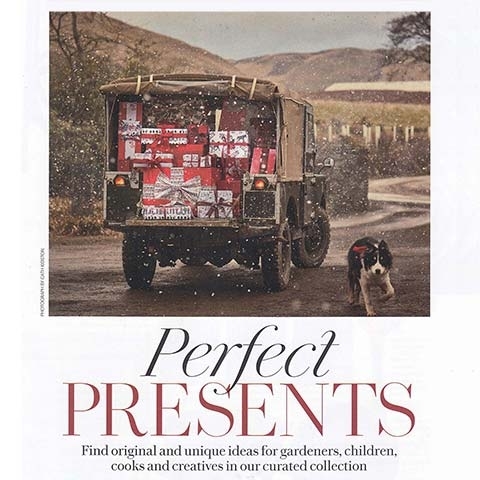 Here’s a sneak preview…. 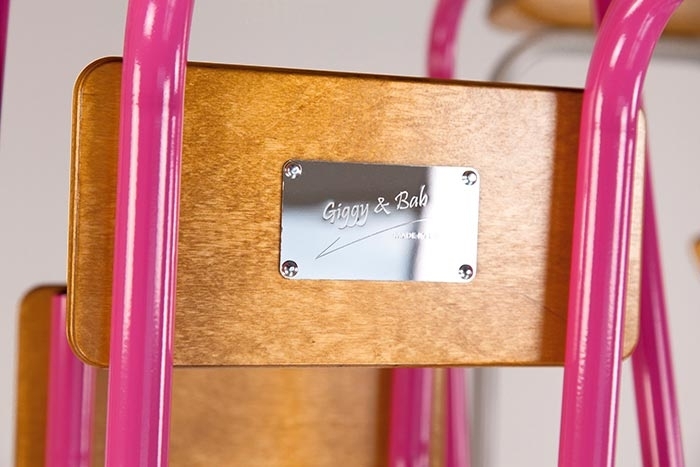 The Birchwood and Blackheath join the Hornsey in the Giggy & Bab range of retro step stools. The snaps below were taken recently at our suppliers, where production is ongoing. Please click on individual thumbnails to enlarge. Birchwood stools are fitted with our standard furniture grade birch plywood, but clear lacquered to show off the beautiful tone of this blond wood. It is available with the pastel and black frames. Seen below in its duck egg and mint green incarnations. The Blackheath is fitted with black stained plywood, and is available with all ten frame colours as it looks gorgeous on both the brights and the pastels, I’m sure you’ll agree. And of course black. 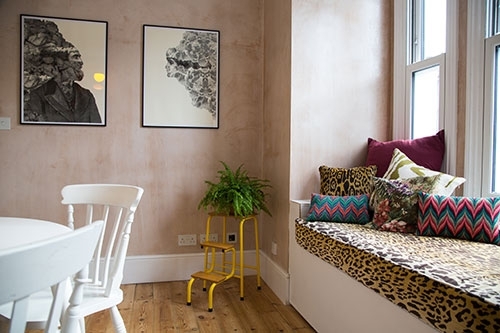 Proud to announce that a yellow Hornsey stool burst onto the small screen last night, gracing a beautiful newly refurbished kitchen in George Clarke’s Old House, New Home on Channel 4. 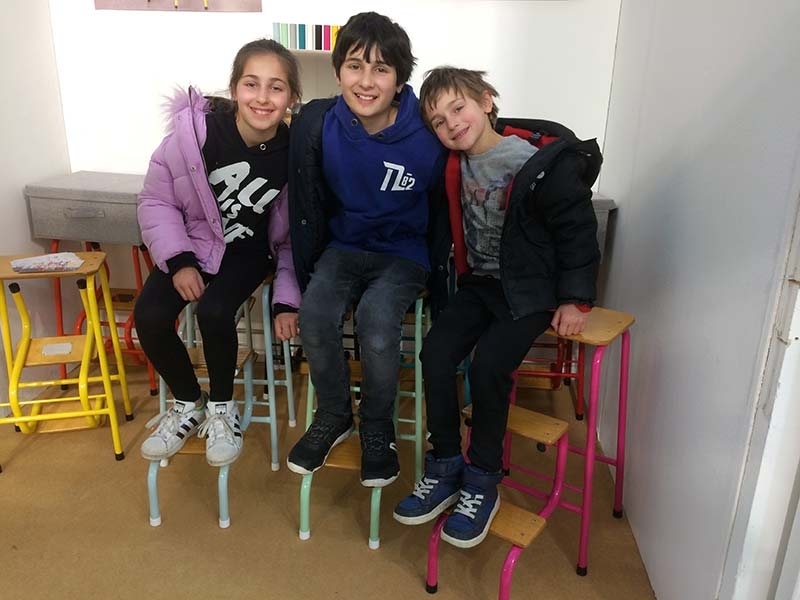 The lovely people at Amazing Productions spotted the Hornsey stool at 100% Design and asked to borrow one. They used it to good effect in the big reveal at the end of Series 3, Episode 2, in the Plumstead home of young couple Tom and Shrez. It’s great telly, and Gorgeous George pulls it out of the bag as usual (spoiler alert!) - making a lustworthy home out of an old wreck…. and in the process showing His Yellowness off to a tee, sporting a frizzy green plant on top. 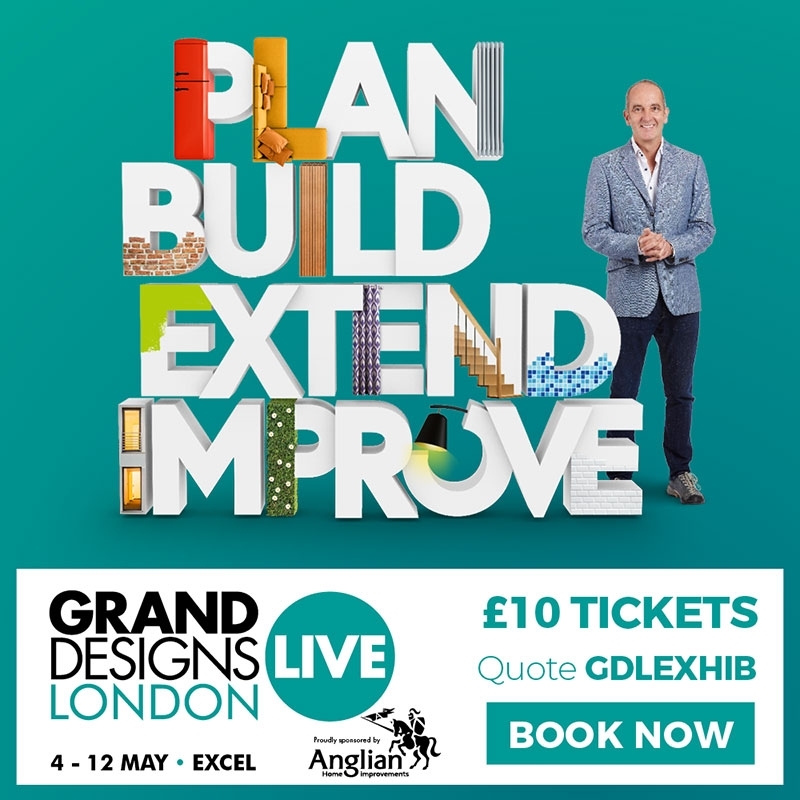 Giggy & Bab is proud and excited to be exhibiting at trade show 100% Design at Olympia, west London. The show runs from 19th to 22nd September 2018, and will be thronged by architects and designers. 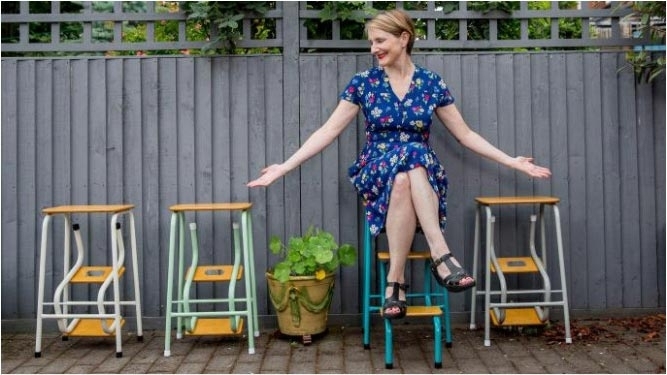 Hornsey stools - in hot pink, teal and yellow - will be on display in the Design Fresh section of 100% Design, as chosen by design journalist Barbara Chandler. 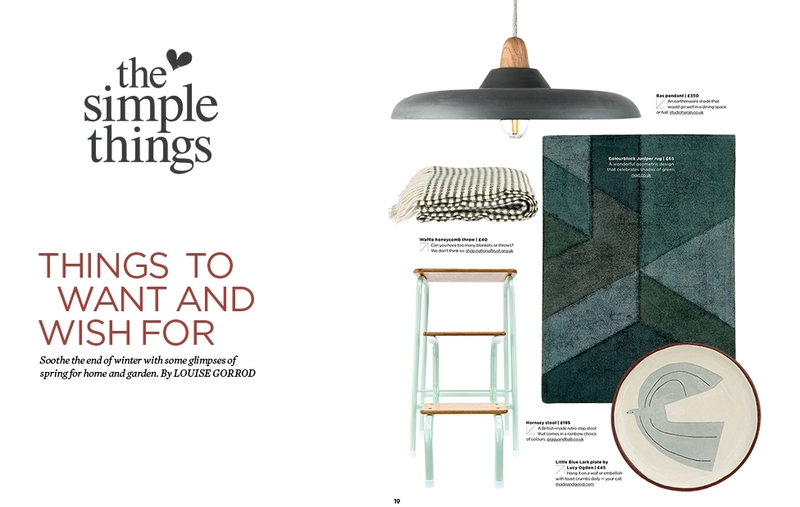 Barbara, who is Design Editor of Homes & Property at the London Evening Standard, has selected 11 outrageously creative, talented people… plus me… as part of Design Fresh, billed as “a celebration of breakthrough talent”. The stools will be jostling for attention with a formidable pool of extraordinary objects and products, ranging from the purely decorative to the functional, and beyond. They include tiles that sprout moss, a form-changing chair that wraps around you, and even some objects shaped by aeolian processes (that’s wind erosion to you and me). The dazzling array of materials used includes coffee grounds, soft expanding foam, extruded aluminium, cast concrete, and waste polystyrene. Click here to see the Design Fresh page on the 100% Design website. The show is open to the public on Saturday 22nd September, so if you’re into design, come along and feast your eyes…. The article, in The Sunday Times business pages, addresses this thorny issue and how it affects small businesses. To register or not to register, that is the question (my apologies to the Bard). The issue came up at a meeting in May at 10 Downing Street with Jimmy McLoughlin, the Prime Minister’s business relations advisor. I was one of a group of entrepreneurs who attended, all members of the fabulous business support group Enterprise Nation, headed by the formidable and charming Emma Jones (crush).